Our full-service paddleboard and kayak launch is located inside Premier Adventure Park on beautiful Pensacola Beach. 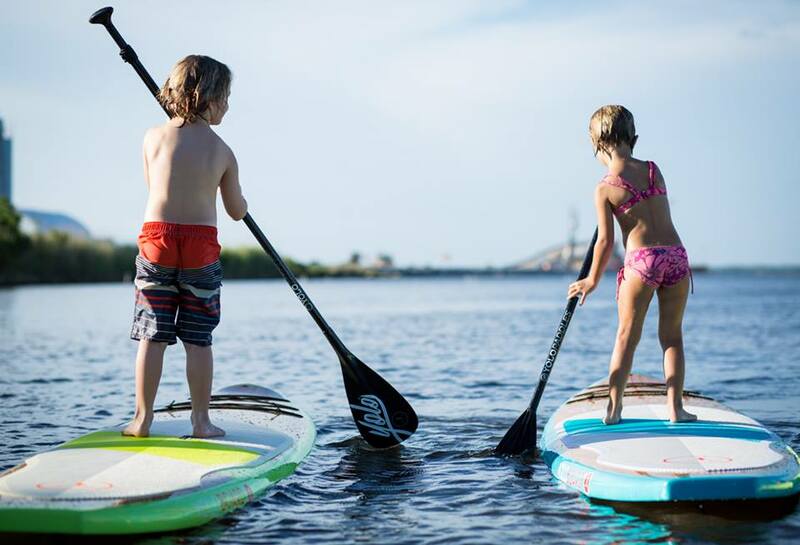 Using only the best equipment by YOLO Board, each rental includes a lesson by one of our certified instructors to ensure your success, safety and fun on the water. Need a board for some morning exercise? Need a great board to use at a place of your choice? Rentals are an email or phone call away. In addition to our hourly and daily rentals, we offer multi-day, and weekly rentals. * MINORS UNDER 18 MUST HAVE A PARENT OR GUARDIAN SIGN A WAIVER AND ACCOMPANY THEM ON THE PADDLE. A PRIVATE INSTRUCTOR MAY BE HIRED TO ACCOMPANY CHILDREN AGES 16-18 OR THEY MAY JOIN A GUIDED ECO-TOUR. CHILDREN UNDER 16 MUST BE ACCOMPANIED BY A PARENT OR GUARDIAN. ** All rentals for 24 hours or more include free delivery and ground lesson. Call for multi-week rentals. Whether you are looking to improve your paddle technique or would like some undivided attention from one of our knowledgeable, certified instructors, a private one-on-one lesson may be for you. Depending on your individual needs, your lesson can be tailored towards your goals on the water whether a beginner or a more skilled paddler. Each lesson includes all the gear you need to ensure your success! We also provide private group classes for those looking for a fun afternoon out with friends or team building. Prices vary upon the length of each session and number of attendees. Contact us to schedule your private lesson or discuss private group sessions. 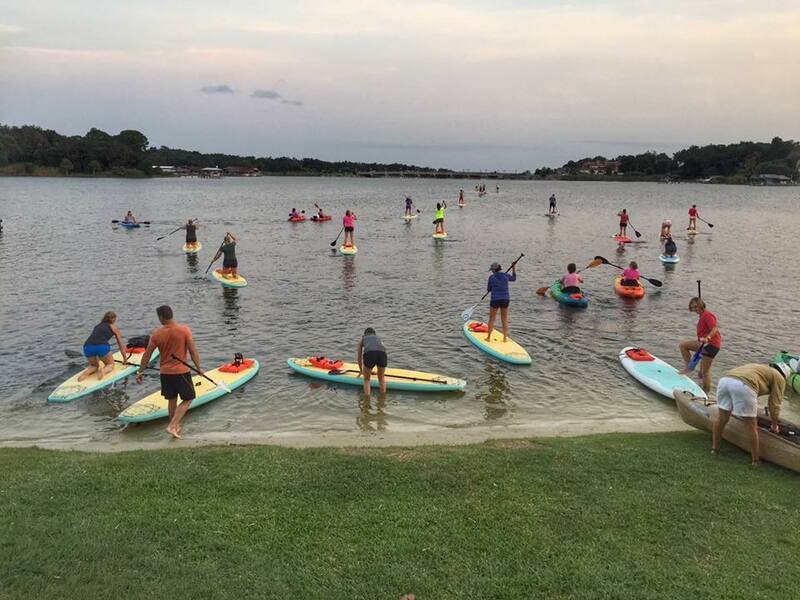 YOLO Board Adventures Pensacola Beach loves to bring the community together on the water. What better way to start/end the day or explore somewhere new! Drop Point Paddles. 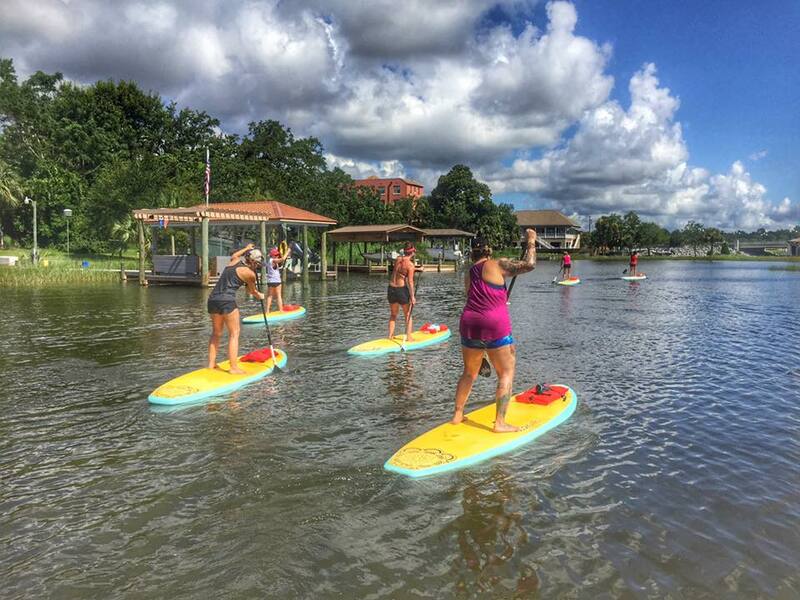 What better way to explore our local waterways than by paddleboard? 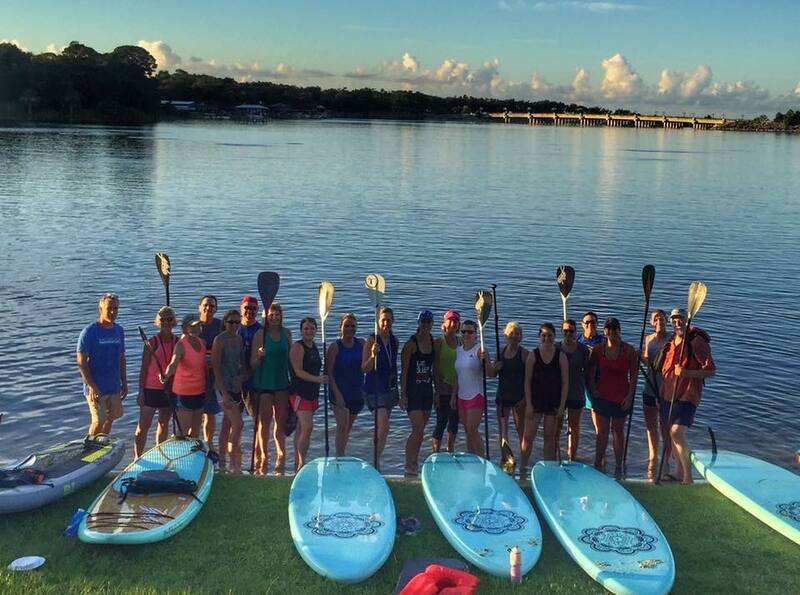 We will be hosting leisurely monthly paddles within our community and beyond. Bring your own board or rent one from us. Big Lagoon State Park June 23rd. Full Moon Paddles. Join us as we paddle underneath the light of the full moon. Bring your own board, a light, or rent one from us. June 28th. 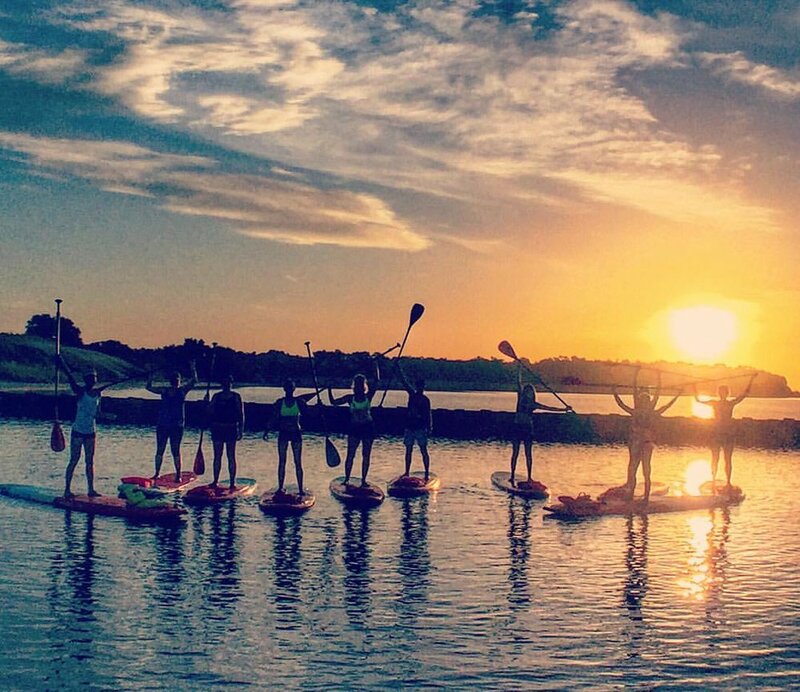 Strawberry Full Moon Paddle. July 27th. 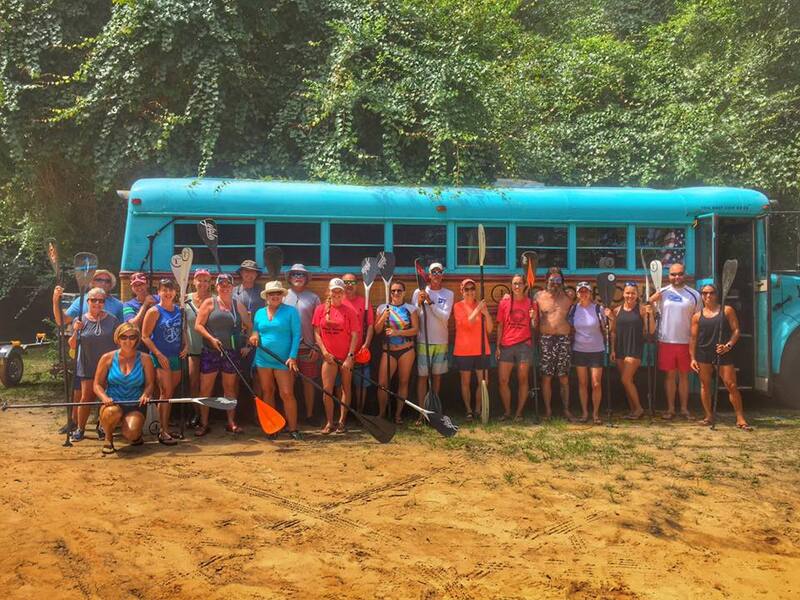 Buck Full Moon Paddle. August 26th. Sturgeon Full Moon Paddle. September 25th. Corn Full Moon Paddle. Please check out "Events" in the upper navigation for more details on each event. SUP Camp is for kid’s ages 8-12 (all camp participants must be able to swim unassisted). 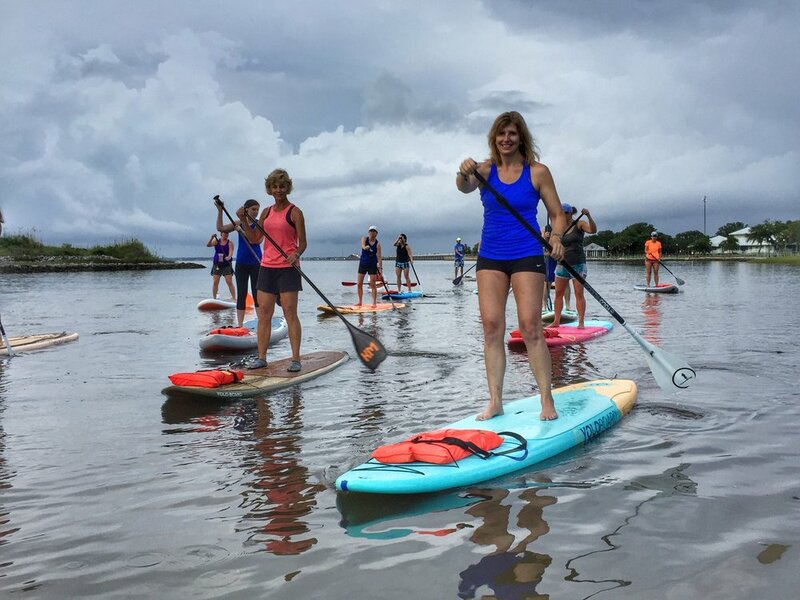 Participants will be taught basic water safety techniques, proper paddleboard technique and water games with a focus on stand up paddling. Camp costs include all equipment, snacks, drinks, camp shirt, camp activities and pizza party on the last day of each session. Space is limited and does require advanced reservations and payment. Please call (850) 545-7147 for more info. Monday, Wednesday, Friday June 18th 9 a.m.-12 p.m.
Monday, Wednesday, Friday July 16th 9 a.m.-12 p.m.
Monday, Wednesday, Friday July 23rd 9 a.m.-12 p.m.
We would love to be a part of your celebration or team building event! From birthdays, bridal showers, family reunions and corporate events, give us a call to plan your perfect day on the water! Craving a little adventure unfettered by the responsibilities of home and work? Check back for our upcoming experiences. Our trips are the perfect get-away for those looking for outdoor adventure. 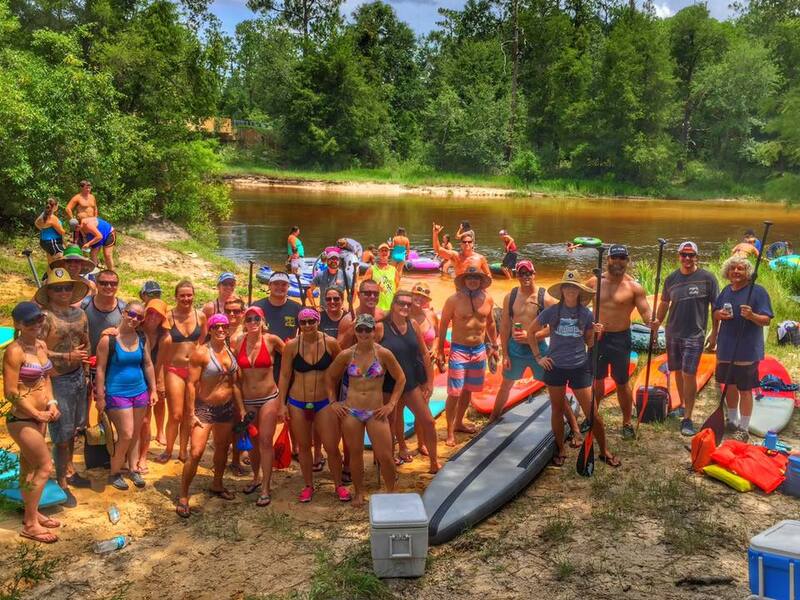 Get ready to meet new people and challenge yourself by learning to surf and paddleboard with top instructors. With the beauty of a new place as our backdrop, the YOLO Experience provides the support and encouragement needed for all levels. We will delight in having trip with challenge AND relaxation; balancing enjoying the journey just as much as the destination.